Multi Vitamin for adults contains organic minerals in the form of ascorbates and citrates, which are highly bioavailable, together with chromium polynicotinate and organic selenium. These are the preferred forms of these minerals. This formula provides an ideal daily supplement to the diet and a good base-line supplement for most dietary regimes. 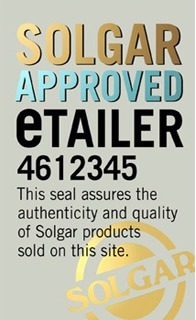 Solgar supplies several different multivitamin supplement products such as Solgar Formula VM-75 30 Tablets.